This weekend's winter storm is affecting some local sporting events already. 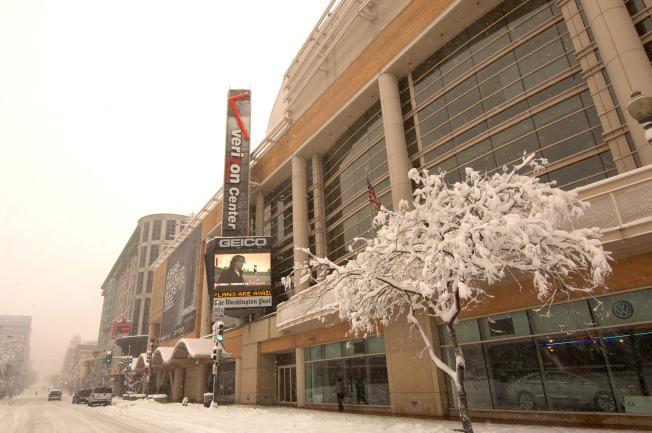 The Washington Wizards home game Saturday has been postponed. The Wizards played in Orlando Friday night, and the Atlanta Hawks played in Chicago. No makeup date has been set as of yet. However, the Wizards had been offering a ticket exchange program. Get more info by clicking here. Friday's Maryland women's basketball home game against Georgia Tech was moved up to 4 p.m. instead of 8:30 p.m. The Washington Capitals' big question will be on Sunday. Can the Pittsburgh Penguins make it here after playing in Montreal Saturday afternoon? Catholic University has already canceled its home games for Friday and Saturday. Catholic will play Moravian Monday and Scranton on Feb. 16. Navy hosted Bucknell Friday at 7 p.m. as scheduled. Saturday's huge Big East showdown between Villanova and Georgetown at noon at the Verizon Center will be on. Villanova already arrived in town before the storm hit. George Washington's home game against Duquesne at 2 p.m. Saturday is still on. The Dukes are already here. Lehigh University arrived in D.C. already and will play American University on Saturday at 2 p.m.
On Sunday the Maryland Terps face a struggling University of North Carolina men's basketball team. The Tar Heels are trying to leave for Maryland late Friday afternoon.